Occupational Knowledge International (OK International) is a nonprofit organization dedicated to improving public health through innovative strategies to reduce exposures to industrial pollutants. We seek to address inequities in environmental standards between developed and developing countries by working in partnership with industry, government and non-governmental organizations (NGOs). Lead batteries consume more than 80% of global lead production. 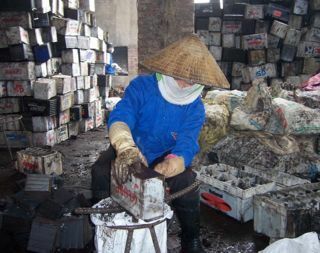 The recycling of lead batteries is an extremely hazardous industry responsible for poisoning millions of workers and children around the world. Millions of people around the world are exposed to hazardous materials including lead, mercury, silica and asbestos. Pollution from industrial operations contaminates the environment, causing millions of deaths and rampant disease throughout the world. But the burden of environmental disease is not evenly shared. Exposures to hazardous materials is growing in developing countries in contrast to the trend in the U.S. and Western Europe. Our goal is to bridge the gap between environmental standards in the developed and the developing world. 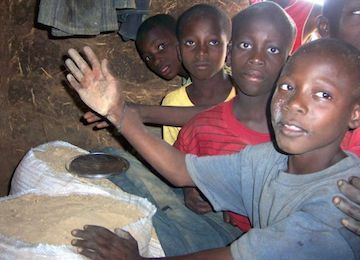 Millions of children around the world work in hazardous industries. 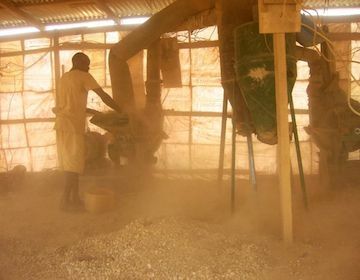 Many are exposed to silica dust and other heavy metals from crushing and processing gold ore. However, bringing attention to these problems is not enough. OK International also brings the technical resources to measure exposures, find solutions, and clean up the environment in order to protect public health. Occupational Knowledge International is a nonprofit, tax-exempt organization under Section 501 (c)(3) of the IRS Code. All donations are tax deductible to the extent allowed by law. June 2, 2014. The American Industrial Hygiene Association (AIHA) awarded its Annual Social Responsibility Award to Perry Gottesfeld, Executive Director of Occupational Knowledge International. Our research report was the primary source for two New York Times articles on pollution caused by lead battery recycling in Mexico. We are calling for a halt to used car battery exports to Mexico until environmental standards improve. See the full article.